The best folding bikes are designed for the consumer on the go who needs as much space as possible on their adventures. The best folding bikes are convenient for travel because they take up much less space and provide owners with more cargo room to pile in whatever’s needed on long trips. Some of the best folding bikes are road or city bikes, some are mountain bikes, but all of them provide efficiency and ease of use overall. Some folding bikes can be astronomical in pricing, but here are some good buys for their feature set and value. The Paratrooper Mountain Folding Bike is a sturdy mountain bike that has front suspension, 24 speeds, and Fire Plus shifters. Its double cage aluminum pedals are durable and its wheels are able to climb the roughest terrain. Its folding mechanism is simple and takes seconds to break down. This bike can also be used for casual street riding by simply swiktching out the tires with road treads. Users really like this bike, giving it four and a half stars on Amazon. Most of them mention how simple and useful the bending feature is, as well as the overall sturdiness and durability of the bike as a whole. One user notes how flexible the folding bike is when used for street riding, and another lauds the company for offering it cheaper than the competition. 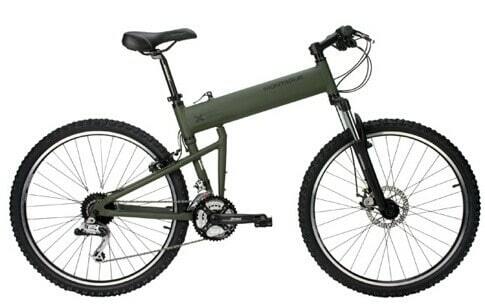 The Montague Paratrooper Mountain Folding Bike is available at Amazon for $683. The Xootr Swift Folding Bicycle becomes compact in a snap, featuring a customizable feature set as well as a sturdy frame. Weighing around 22 pounds and aluminum alloy cage and body pedals, this best folding bike is well constructed. There is a SRAM 5.0 twist grip shifter included, as well as a Velo VLG-3029 Plush Comfort with Ozone seat. Overall the fold mechanism is well designed and is easy to initiate. Users like this best bike, noting its flexibility in terrain, and overall convenience in storage. One owner notes it’s almost infinitely customizable, allowing anyone to switch out tires, shifter, or derailers. One user does note that it’s not the most compact when compact compared to some other similar folding bikes, but overall it’s still quite efficient. The Xootr Swift Folding Bicycle is available at Amazon for $699. The Dahon Mariner D7 Folding Bicycle weighs 26 pounds and folds in less than 15 seconds. While it was designed for boaters on the go, commuters will also love this best folding bike. It has been coated with rust resistant materials to prevent decomposition, and it features seven speeds. It’s built to last, with a very durable frame and while it’s heavy to carry on long distances, you should probably be riding it anyways. Users really like this bike, noting its overall ease of use and one owner even mentions that it makes a great portable seat. While frequent use necessitates filling the tires up around twice a month, that’s standard maintenance on most bikes. Some users noted the price is also better than many titanium models. The Dahon Mariner D7 Folding Bicycle is available at Amazon for $489. The Schwinn Loop 7-Speed Folding Bike has seven speeds and features a carrying bag. It comes with 20-inch rims and its city tires are made for concrete. Its alloy front and rear linear pull brakes are solid and durable. There is also a 3-piece single-speed crankset included. Its alloy frame makes this bike quite solid to handle any bumps or holes in the road quite well. Users really like this best folding bike, giving it four and a half stars on Amazon. Some users have noted this bike is a bit heavier than most others, and others have mentioned that the folding mechanism is a bit sticky at times. Also, many users have claimed that the seat included isn’t the best and a replacement one is necessary. The Schwinn Loop 7-Speed Folding Bike is available at Amazon for $265. Articles about folding bikes should show them in both folded and unfolded states. The Xootr and Montague are nice bikes, but not particularly compact compared to the Dahon.